László Kürti has taught anthropology at the American University, and Eötvös University in Budapest, and presently teaches at the University of Miskolc. He has conducted fieldwork in the US, Romania and Hungary. His books include: Beyond Borders (1996, co-edited with J. Langman), The Remote Borderland (2001), Youth and the State in Hungary (2002), and he served as co-editor for Working Images (2004). 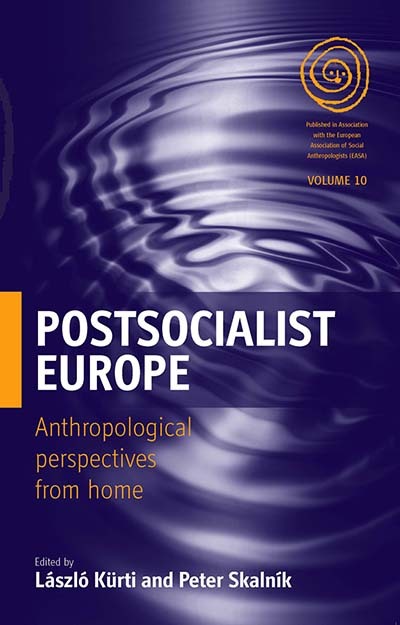 Peter Skalník currently teaches social anthropology at the University of Pardubice. He was the Czech ambassador to Lebanon (1992–1997). He has edited or co-edited: The Early Writings of Bronislaw Malinowski (1993), The Post-communist Millennium: The Struggles for Sociocultural Anthropology in Central and Eastern Europe (2002), Anthropology of Europe: Teaching and Research (2004), Studying Peoples in the People’s Democracies: Socialist Era Anthropology in East-Central Europe (2005).